Fairy of rose confined by music box of magic. Music box of magic reached fairy's paradise "Elfhame" at last. Lid of the music box was opened again by fairies' prayers. 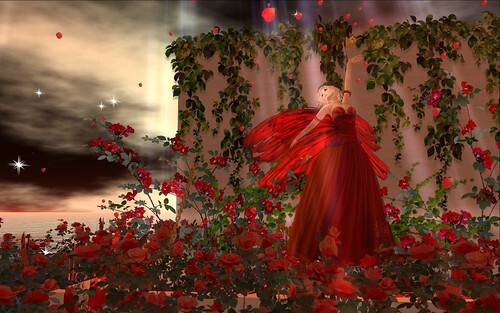 Fairy of the rose rejoices to be opened. Music box was covered with the rose flower. And, the flower garden of the rose has extended one around.